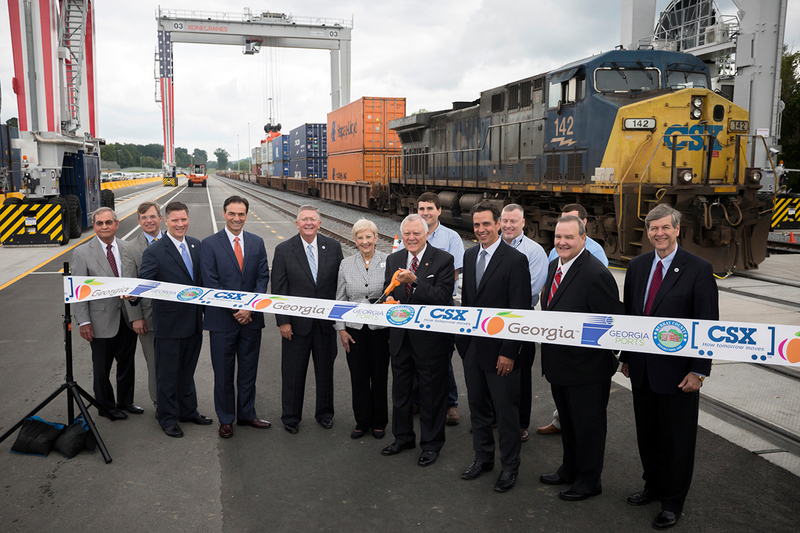 The newest inland port in the United States is now open in northwestern Georgia. The new Appalachian Regional Port in Murray County is connected by rail to the Port of Savannah, and is expected to ease congestion at the port and reduce truck traffic on roadways by shifting the handoff of international shipping containers to an area with more space. Gov. Nathan Deal cut the ribbon on the new facility Aug. 22. The inland port also is expected to provide an impetus for the development of business and industry in a region known for agriculture and the production of carpet and floor coverings. Lynch said the goal for the inland port is to handle 25,000 containers in the first 12 months, which is about half of the facility’s design capacity. At the Port of Savannah, construction is underway on a rail terminal that will double the port’s rail lift capacity to 1 million containers per year, Lynch noted. Georgia already has one inland port in Cordele, in the central region of the state. Plans for a third facility in the northeast could be announced by the end of the year, Lynch said.